Aliki's talent for art was recognized by her kindergarten teacher, but it was not until after her marriage, and her move to Switzerland, that her first book, The Story of William Tell, was published. Since then she has been a prolific writer and illustrator of both fiction and non-fiction books for children. By the summer of 1996, two more of her books will have appeared. Aliki was born and raised in Philadelphia, PA., and graduated from the Philadelphia College of Art. As well as illustrating her own works, she has also illustrated the works of others, including those of her husband Franz, Joanna Cole and Paul Showers. Her two children, Alexa and Jason, appear in many of her books. 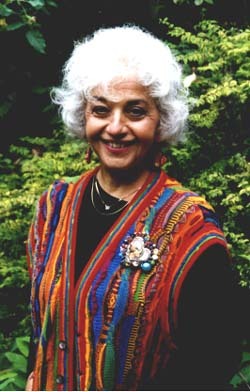 Aliki has been the recipient of many honours including the New York Academy of Sciences Children's Book Award and the Prix du Livre pour Enfants (Geneva). Her many books for the Let's-Read-and-Find-Out Science Books series are familiar to many budding researchers and teacher-librarians. Digging Up Dinosaurs, HarperCollins, 1988. Christmas Tree Memories, HarperCollins, 1991. How a Book is Made, HarperCollins, 1986. The Listening Walk, HarperCollins, 1991 (Illustrator). A Medieval Feast, HarperCollins, 1983. Mummies Made in Egypt, HarperCollins, 1979. My Five Senses, HarperCollins, 1989. My Visit to the Aquarium, HarperCollins, 1993. My Visit to the Dinosaurs, HarperCollins, 1985. Wild and Woolly Mammoths, HarperCollins, 1996 (revised).